We are engaged in offering various types of Plastic Trays that are widely useful in catering different food serving purposes. These trays are made using tough plastic, ensuring their high strength. 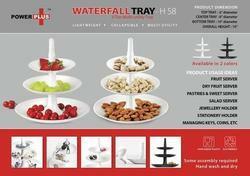 Available with us is a wide range of Serving Trays, which is procured from reliable manufacturers. Widely appreciated for their durability, fine finish, exquisite designs and longer service life, these trays are primarily used for the purpose of serving food. These trays find application across hotels, restaurants, homes and other suitable places. our coco tray is a shallow platform designed for carrying of items purely made out of coir fibre. comes in vivid shapes and sizes. 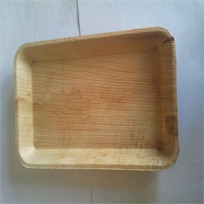 These trays gives a natural look compared to the trays which are mad out of steel and plastic. Heavy weight and give the luxurious feeling!